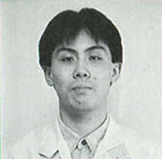 Yasuhisa Yamamura is a level designer working for Nintendo. In addition to his work as level designer on many installments of the Mario franchise, he was also dungeon designer on several games in the The Legend of Zelda series, level designer on Star Fox 64, and creator of the Idea Book packaged with Super Mario Maker. The Super Mario Maker character Yamamura is based on and named after him. This page was last edited on May 3, 2017, at 00:04.